Principles of Tech H2O powered bottle rockets. Students launched water propelled bottle rockets. 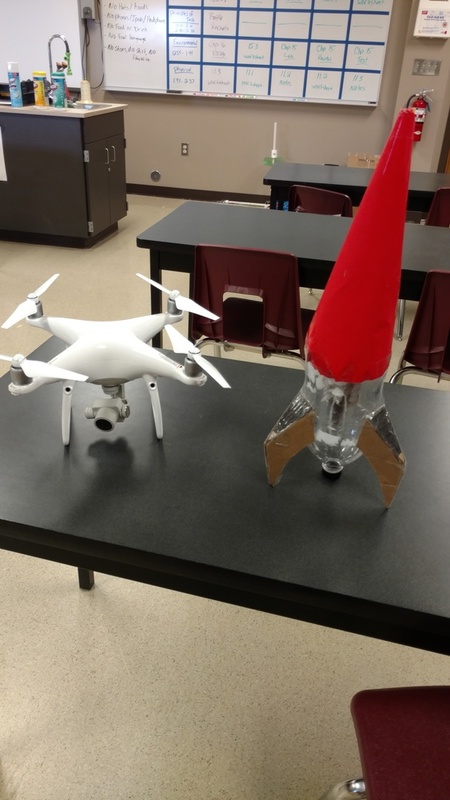 We were able to use our drone to get some great footage of the launch. Click the links below to view a few launches.